This pink and white banded stone is particularly beneficial to those with asthma and other respiratory illnesses. It is carried or worn to lend extra energy during times of intense physical exertion. Rhodochrosite soothes the emotions and the body and is useful in relieving stress. 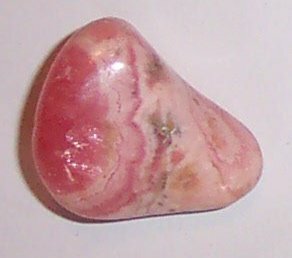 Rhodochrosite is also used to attract love.